Summer time is birthday time for our family. In a five-week span we celebrate the following birthdays … my hubby (the peanut butter addict), son #2, son #3, one nephew, one brother-in-law, one sister-in-law and mine! My two sons’ birthdays are one day apart … not good planning on our part. If we aren’t careful, we could suffer from birthday cake overload. We have learned to have birthday dessert … not always cake. This is one of those desserts! 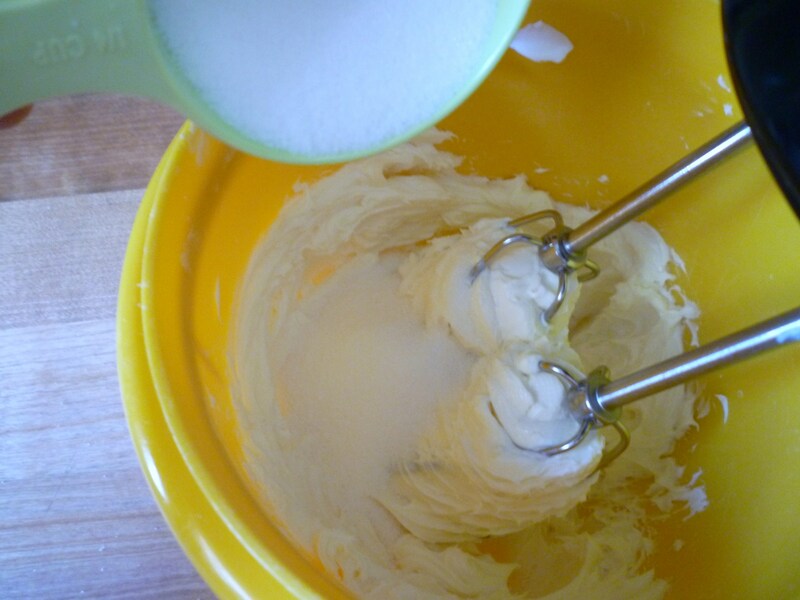 Before we start … let me explain that I sometimes use mixes for cakes or brownies. But, I always make cookies from scratch … never a mix … never ready made cookie dough … except for this recipe. 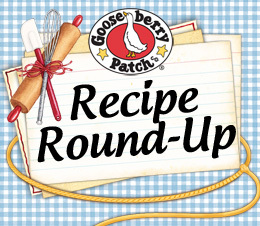 I have had this recipe for many years, it calls for ready made refrigerated sugar cookie dough. 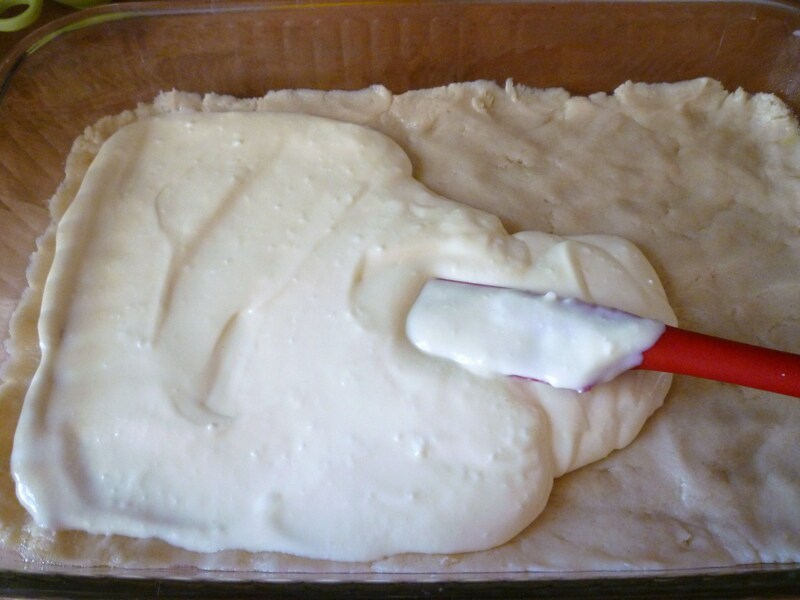 After making these cheesecake bars several times, I thought it was silly to buy sugar cookie dough … so I made my own dough. I don’t know why … but the cookies made with the ready made refrigerated dough won the contest. I felt defeated … the Pillsbury Doughboy won … well, at least he’s cute! I have altered the recipe to fit our family’s tastes … I live with picky people! 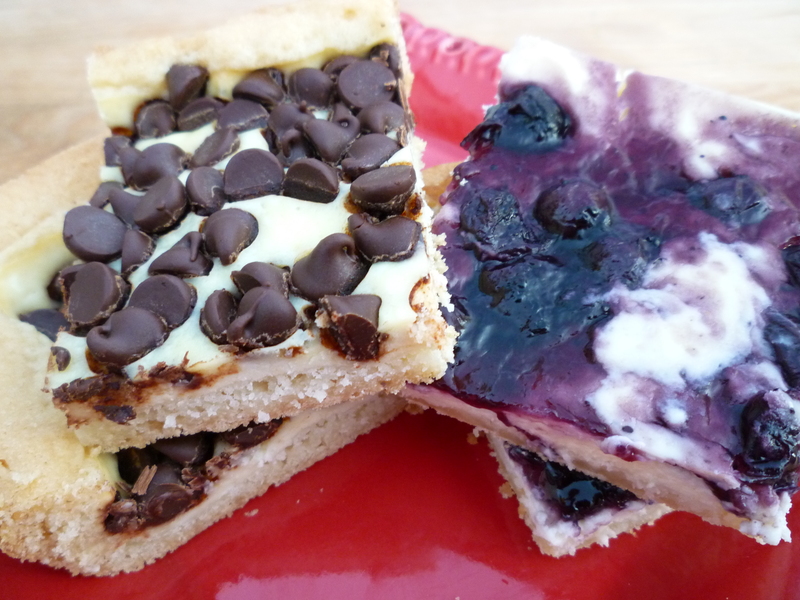 Today we have one half blueberry and one half chocolate chip. It should look smooth like this … if you didn’t drop it on the floor like I did! 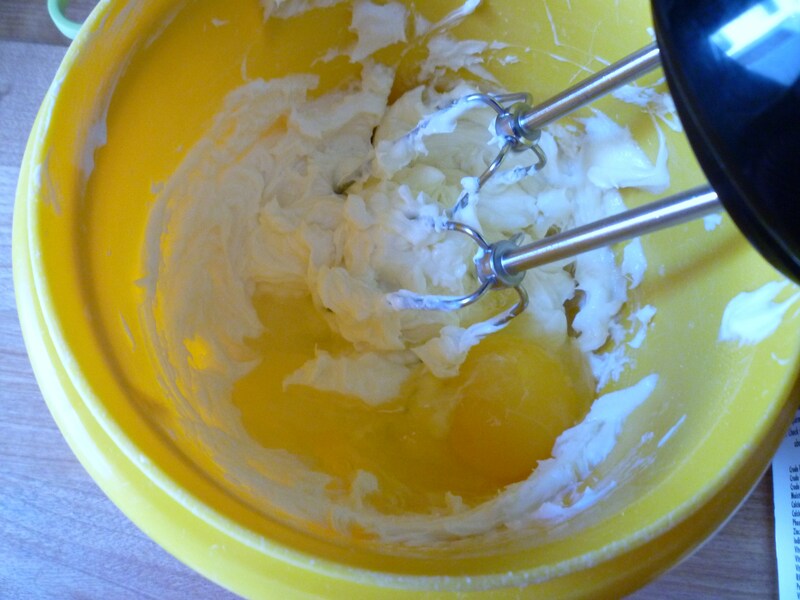 Good news … the mixer survived and it didn’t even crack a floor tile! 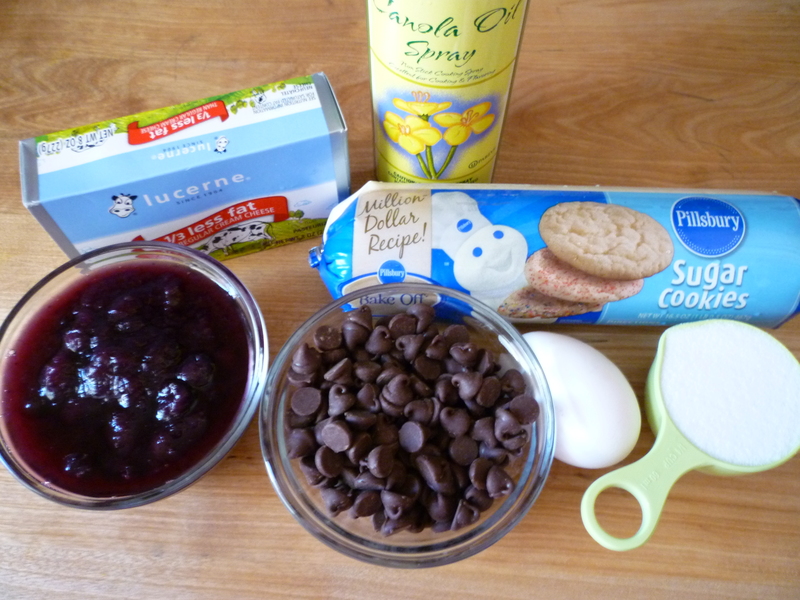 The original recipe called for blueberry pie filling only … I like to add a little lemon zest in the cream cheese. 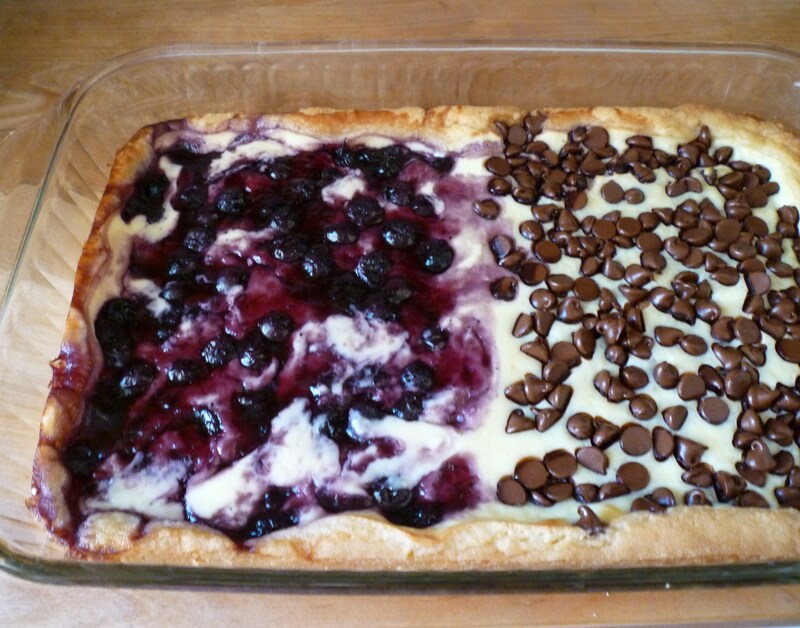 I am giving you the recipe for the way I made it … one half blueberry and one half chocolate chip. This is one of those recipes that can be changed to fit your needs. Have fun with it! 1. 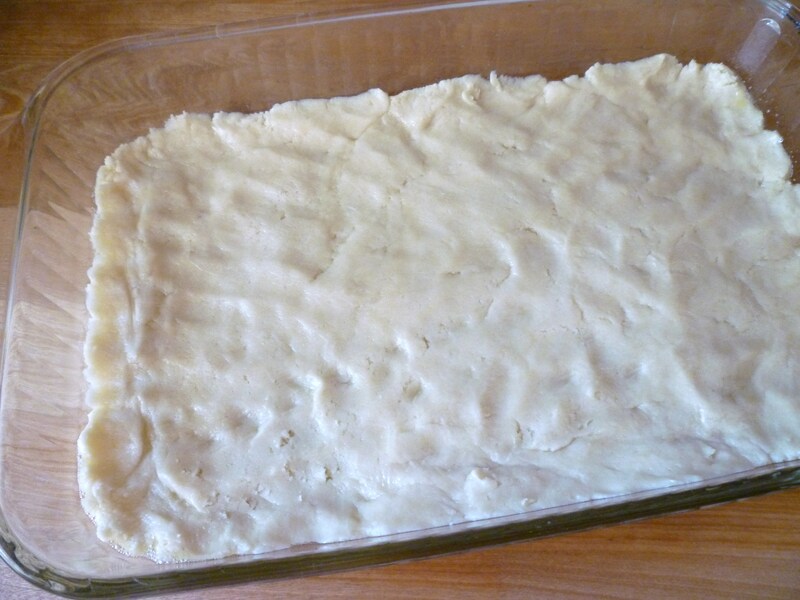 Press dough evenly in a greased 9″ x 13″ baking pan. 3. Spread cream cheese mixture over cookie dough. 4. Dollop pie filling on half of the cheese mixture and sprinkle chocolate chips on the other half. 5. 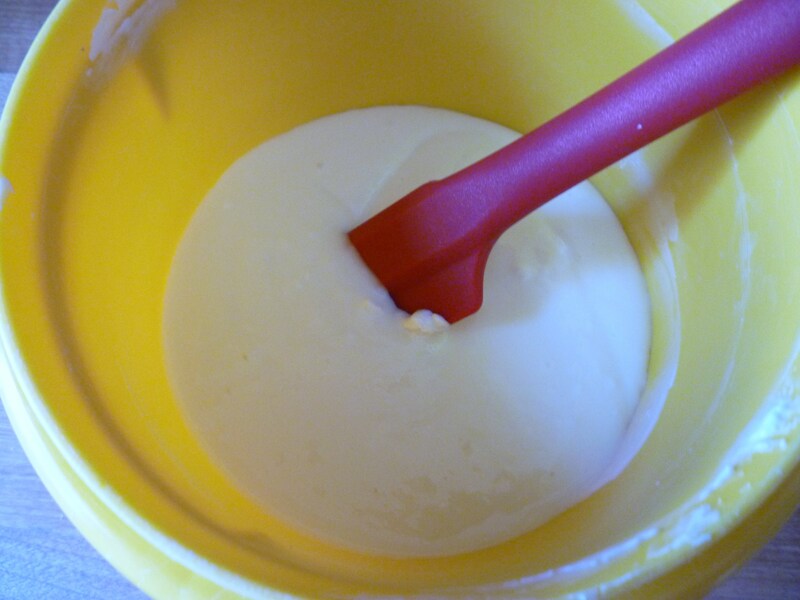 Using a knife, swirl the pie filling and cream cheese mixture. 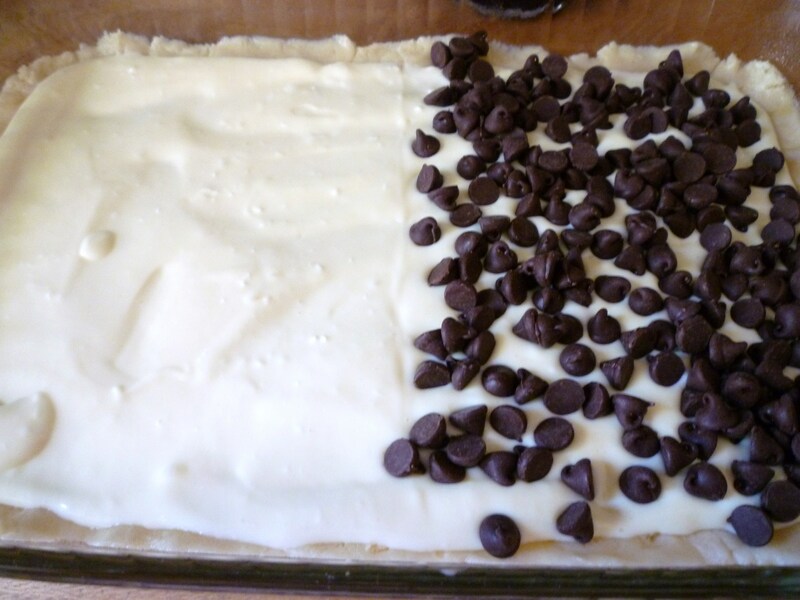 Press the chocolate in the cream cheese mixture. 6. Bake at 350° for 35 minutes or until edges of crust are golden brown. Well, at least your sons were not twins – or you would have 4 birthdays one day apart! This looks really yummy -never would have thought to use sugar cookie dough! Got to try it!! First of all I love the photo at the top of your blog, so cool. Secondly, cheesecake is just the best and this looks delicious. 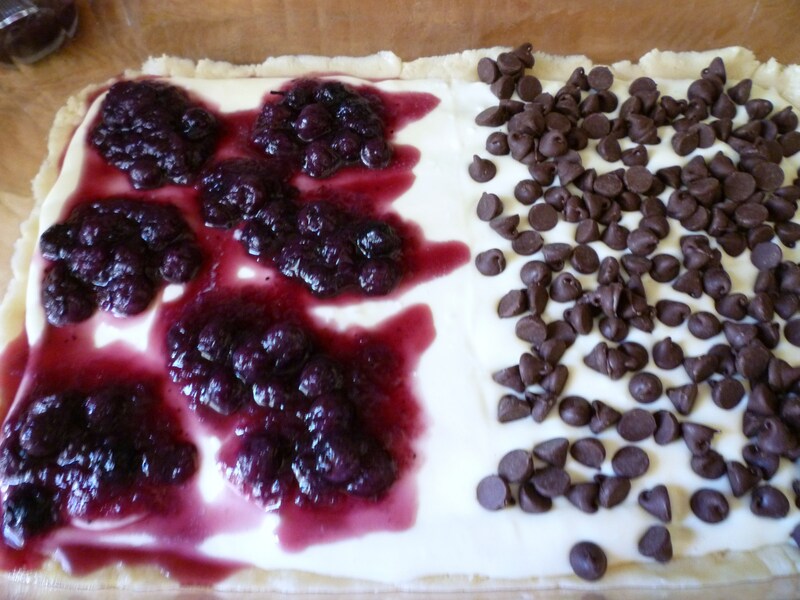 I love the idea of cheesecake bars. The sort of food you’d be happy to send your kids off to school with. I love anything with cream cheese and never realized what a big deal cream cheese is in southern cooking until I moved here.. Think I will try this Friday night for my scrapbooking group. These look really good and easy to make. The cookie dough sure makes an easy crust, great idea. Sounds good and easy (and easy is definitely for me). I agree with son #2 on the chocolate chips. So when are you bringing them to my house. 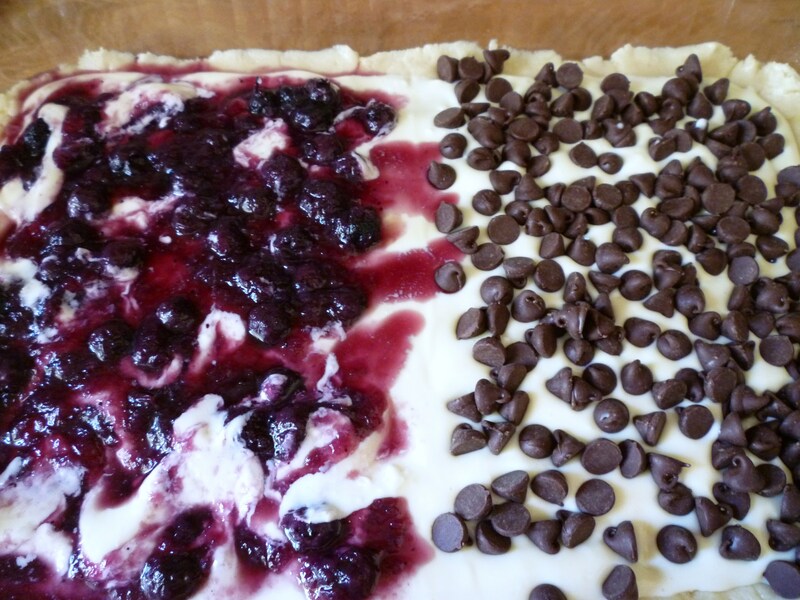 I added 8 oz of sour cream to my cream cheese mixture and used all blueberries… to die for!